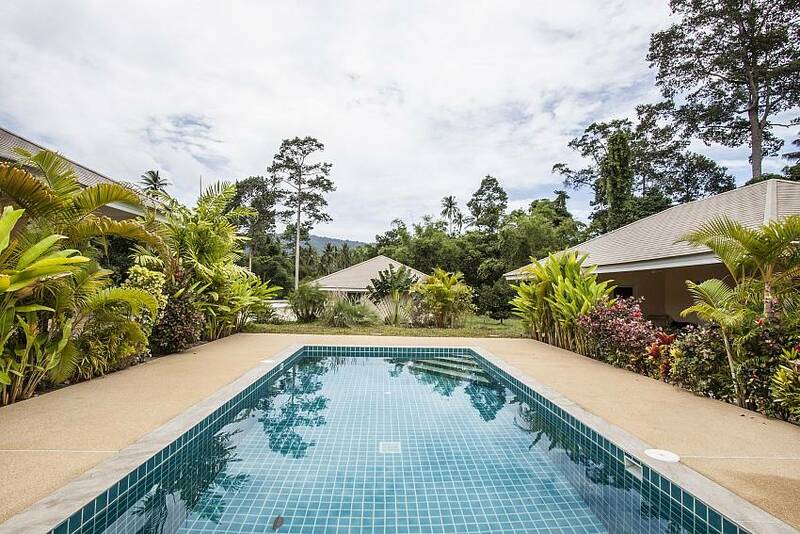 Discover a hidden treasure in Mae Nam with this idyllic 2-bedroom villa, which sits amongst the tropical countryside and has access to a shared pool. 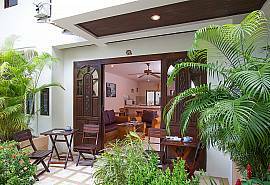 It is the ideal place for a hideaway holiday for 4 persons. 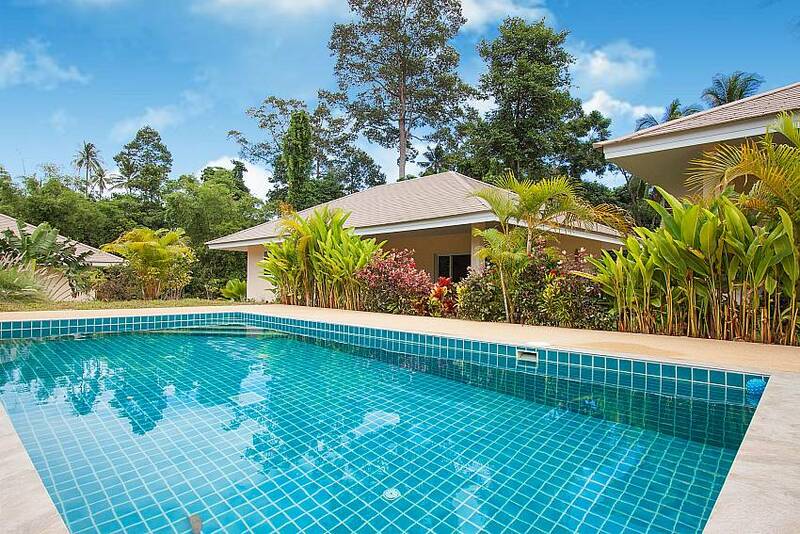 Take a short detour from the main Soi through Mae Nam and discover this tranquil poolside villa (sleeps 4). 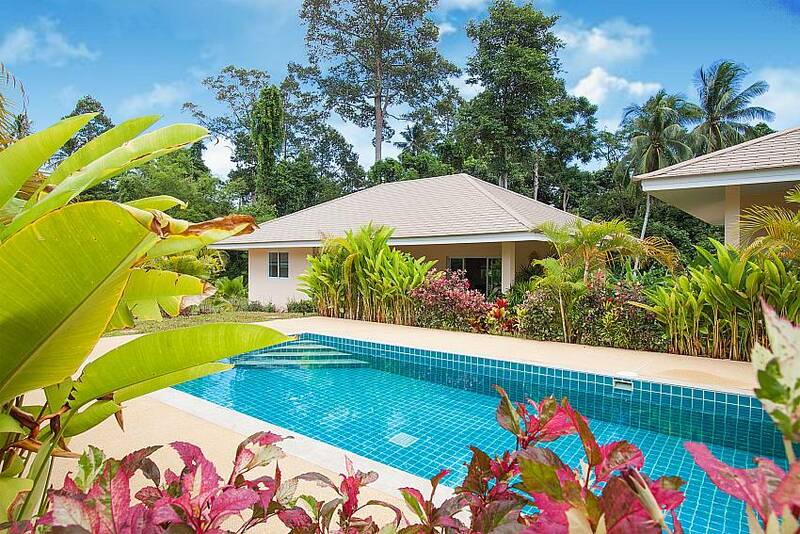 Surrounded by lush green gardens, plants and flowers, it’s the perfect setting for holiday-makers to take some relaxing time out and unwind. 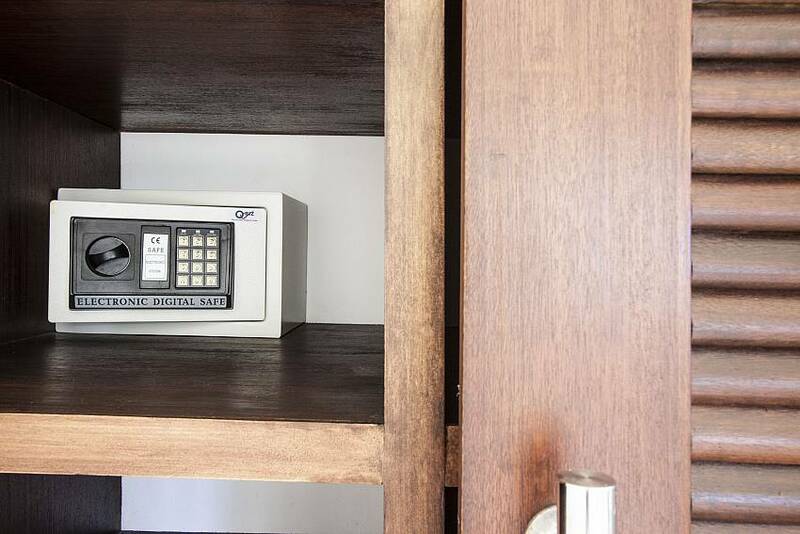 Despite the serene and remote location, the complex is incredibly secure and private. 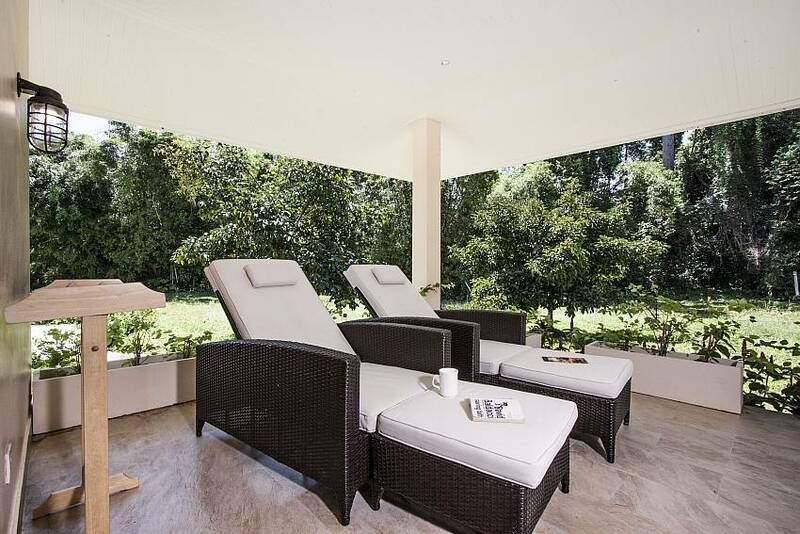 The villa itself is discretely placed amongst the beautiful greenery and is positioned to face the pool. 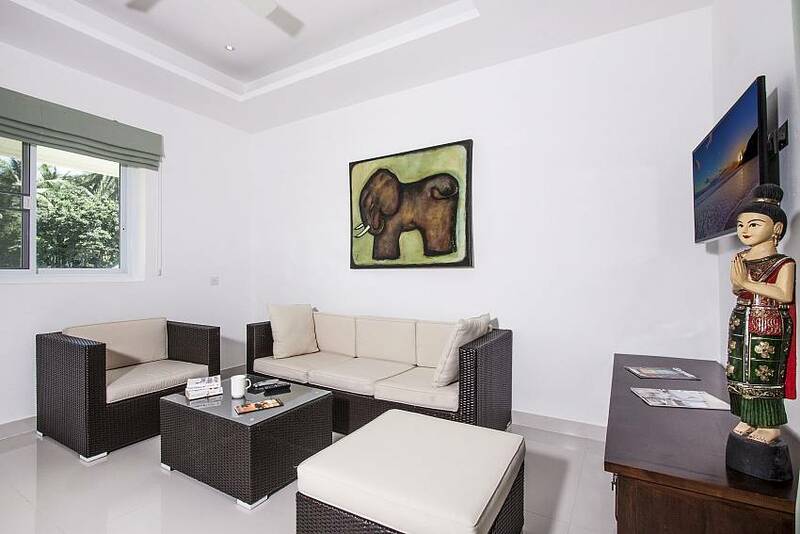 It is painted externally in a cheery shade of yellow, while the interior remains more simplistic and neutral with random bursts of colour in the artwork and material features. 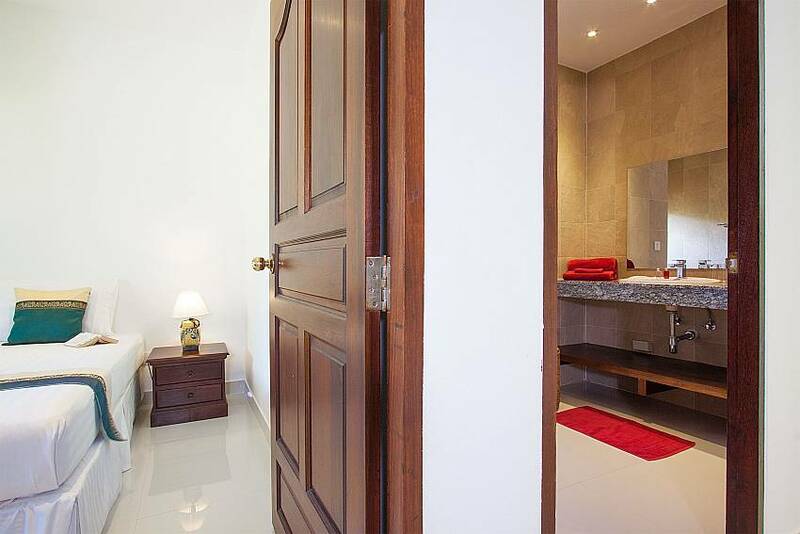 To enter the villa, open the sliding glass doors into the main living area. 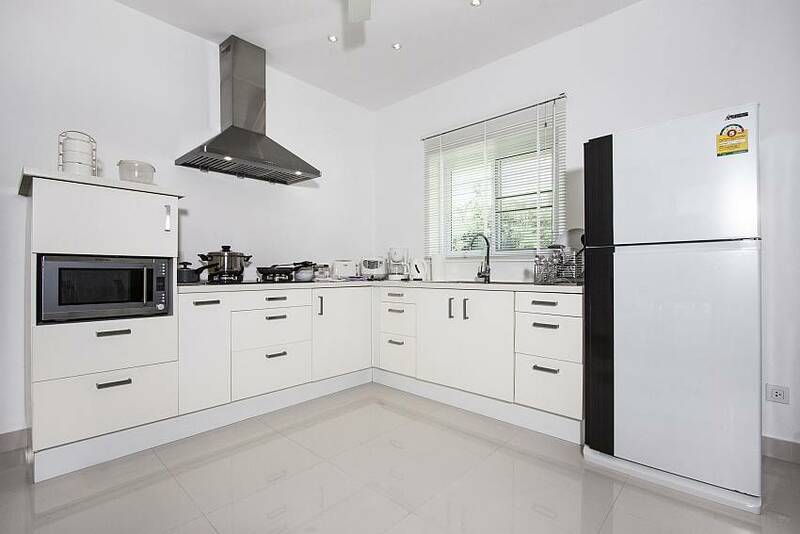 This consists of the kitchen, dining and living room in a stylish, open area emphasising the space and airy feel throughout. 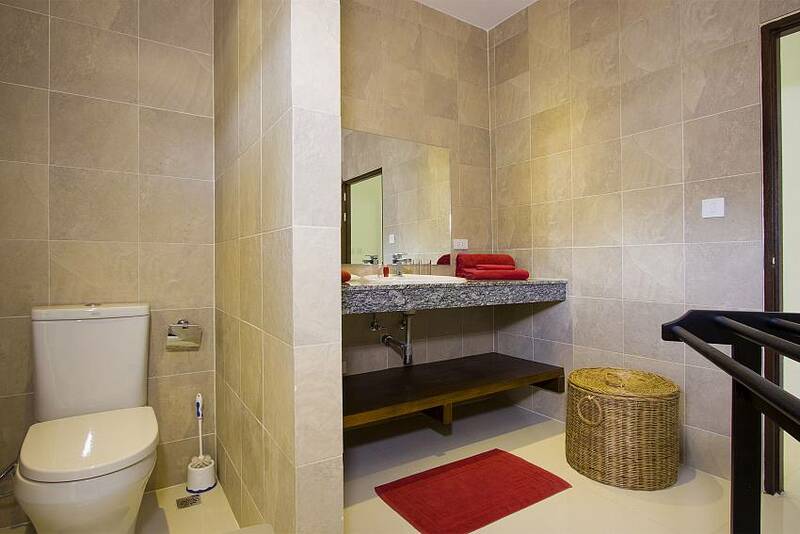 Further into the property there are 2 beautifully furnished double bedrooms and a large main bathroom. 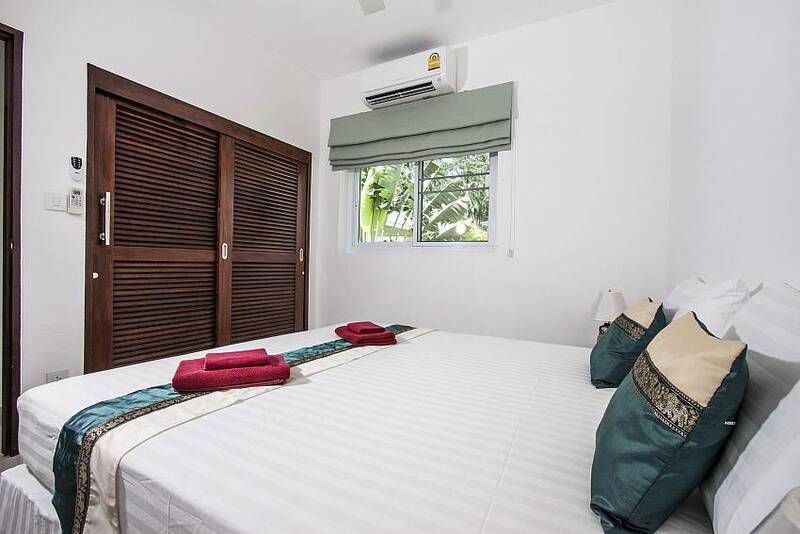 There is a patio area at the front of the villa, where guests can lounge under a ceiling fan as they face the swimming pool – luxury! 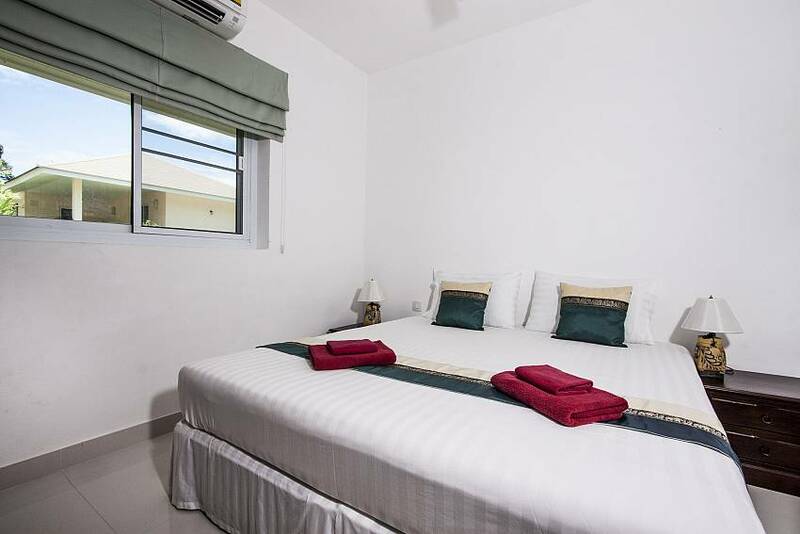 The villa is also fitted with a number of high-tech facilities including air conditioning, top-of-the-range fibre optic for a flawless WiFi connection and a flat screen TV in the living area. 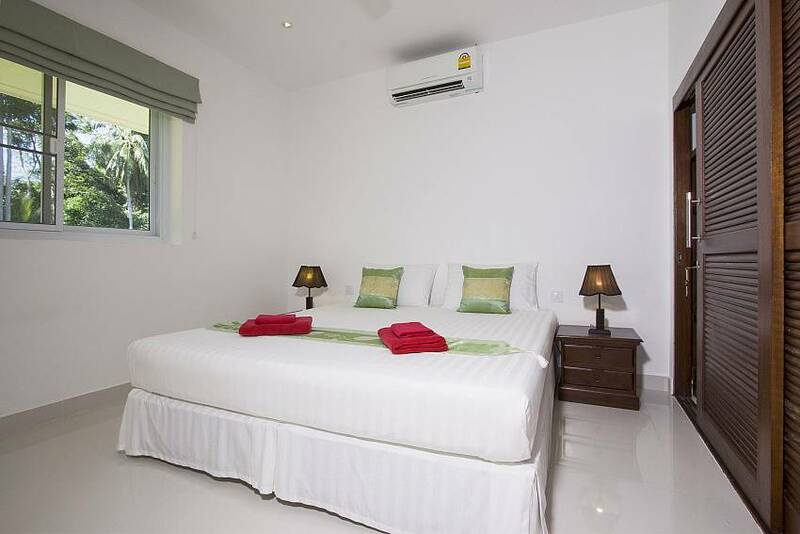 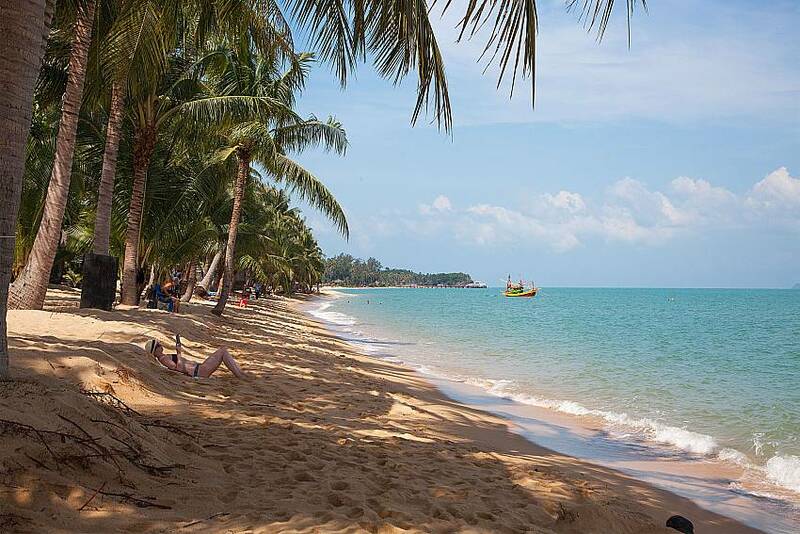 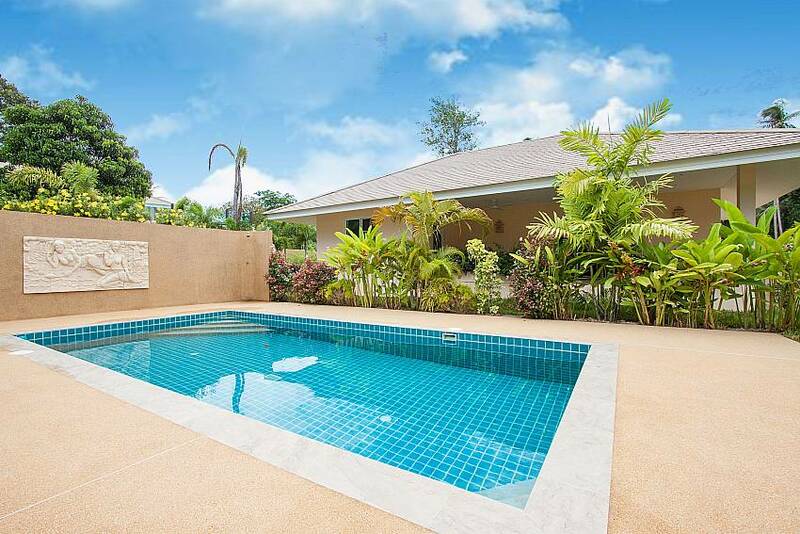 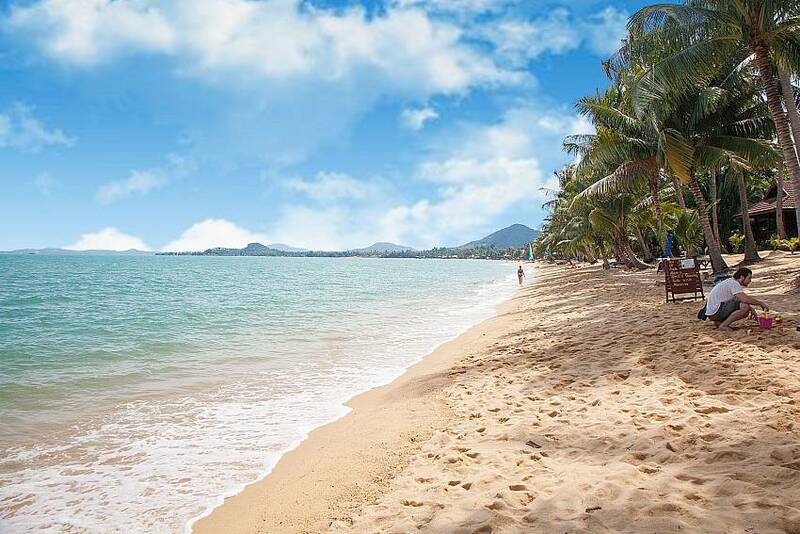 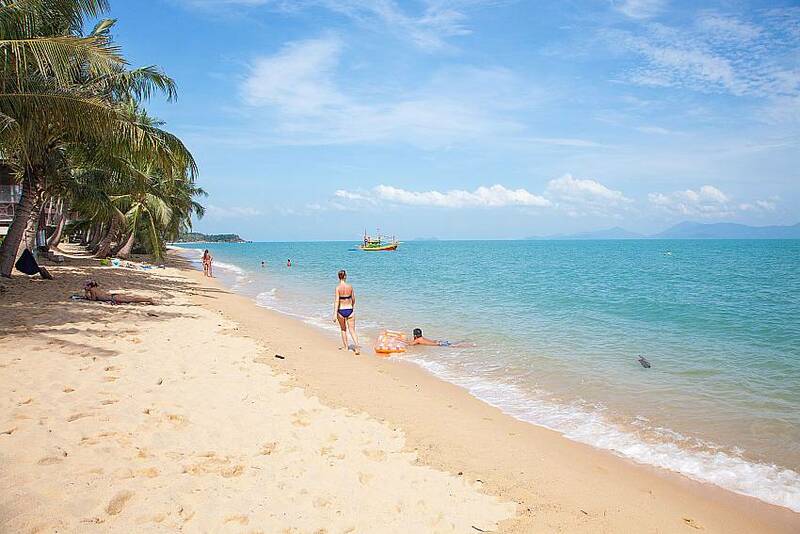 Check out more of our Samui villa rentals click here. 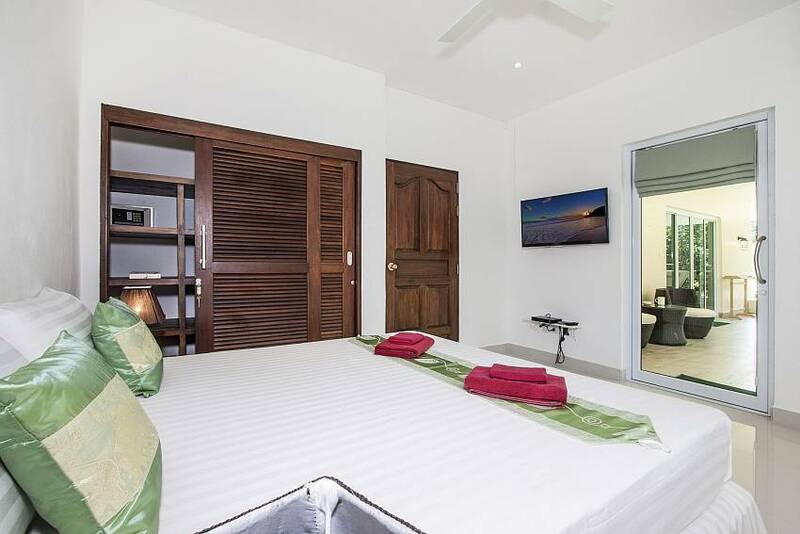 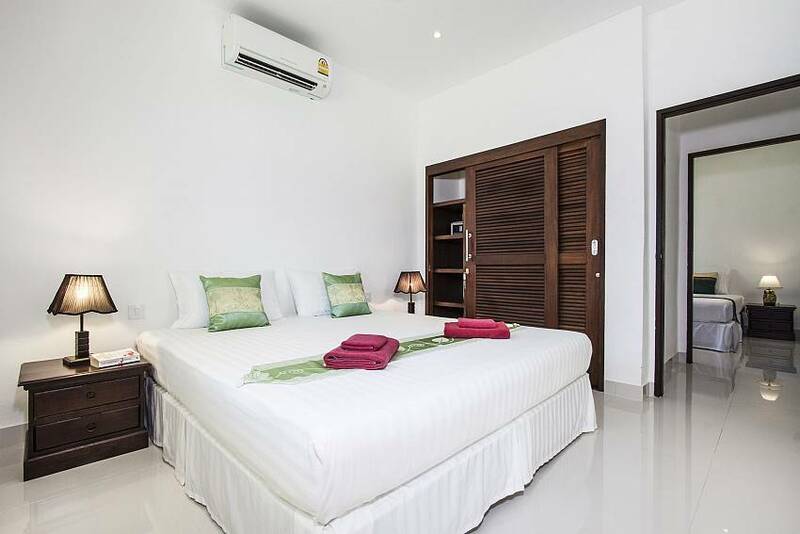 There are 2 double bedrooms within the villa, both displaying a sleek and polished interior with colourful artwork and modern furnishings as well as a large double bed to ensure guests experience true comfort and relaxation. 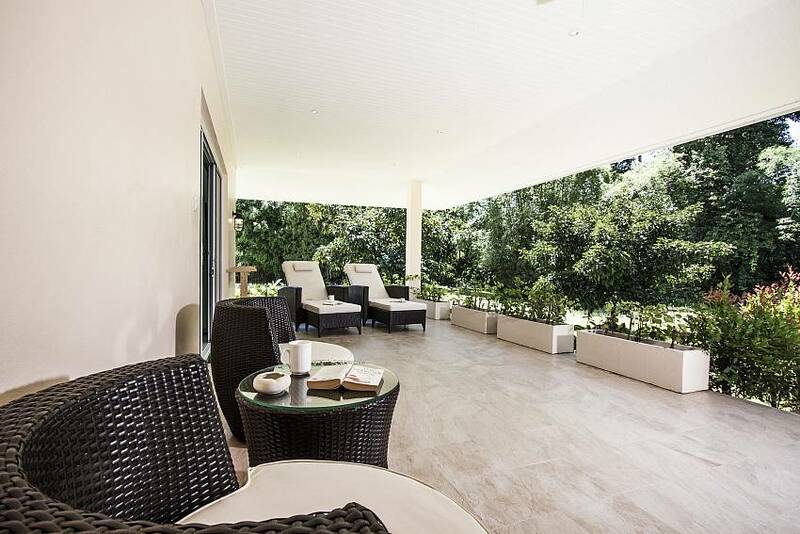 One is situated at the rear of the property and the other has access to the patio area at the front. 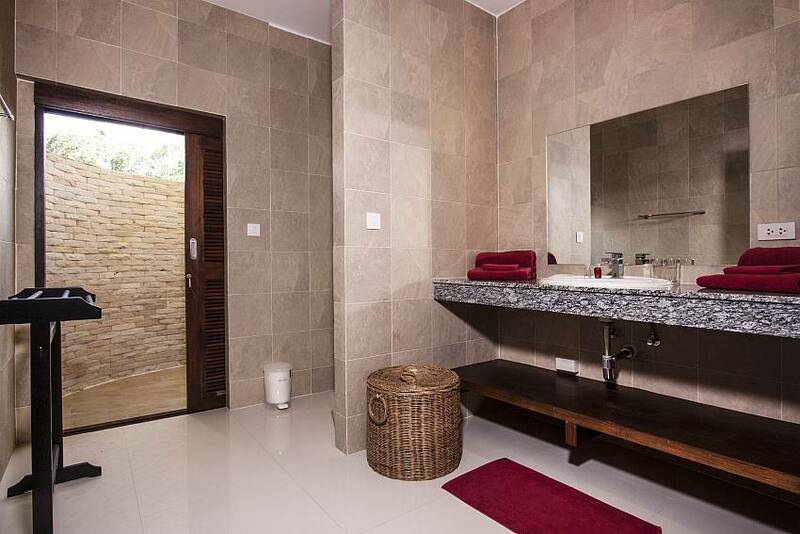 The villa’s generously-sized bathroom is coloured in natural shades with stone fittings, walls and surfaces and a grand mirror above the built-in sink. 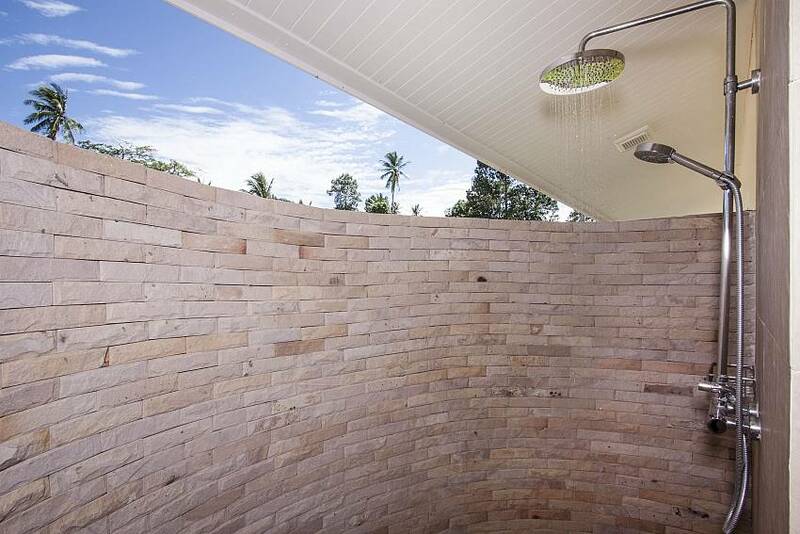 There is also an open rain shower outdoors for an additional tropical touch. 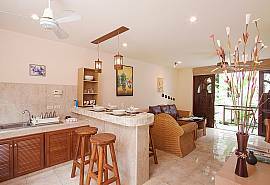 The villa’s kitchen is ideal and has been built with a Western feel to it. 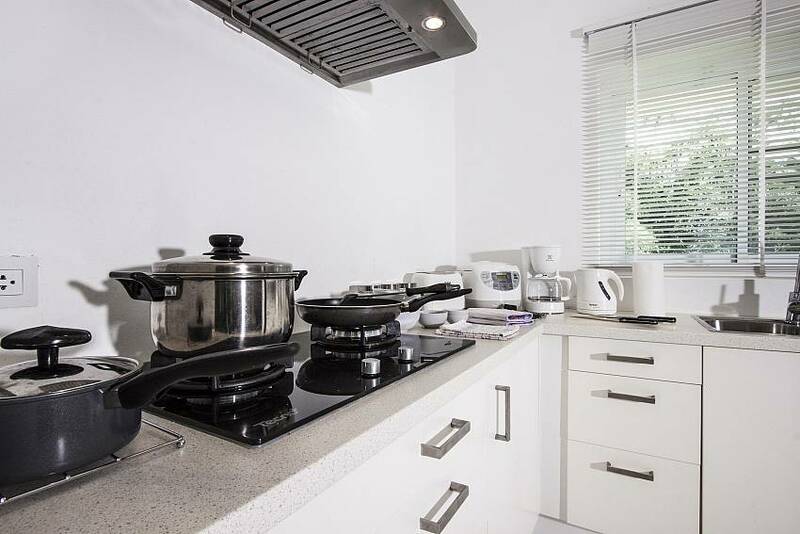 It contains a hob, microwave/oven/grill (conveniently all in one), fridge/freezer, sink, toaster, coffee dispenser and kettle plus an array of equipment, utensils and kitchenware for preparing, cooking and eating your meals. 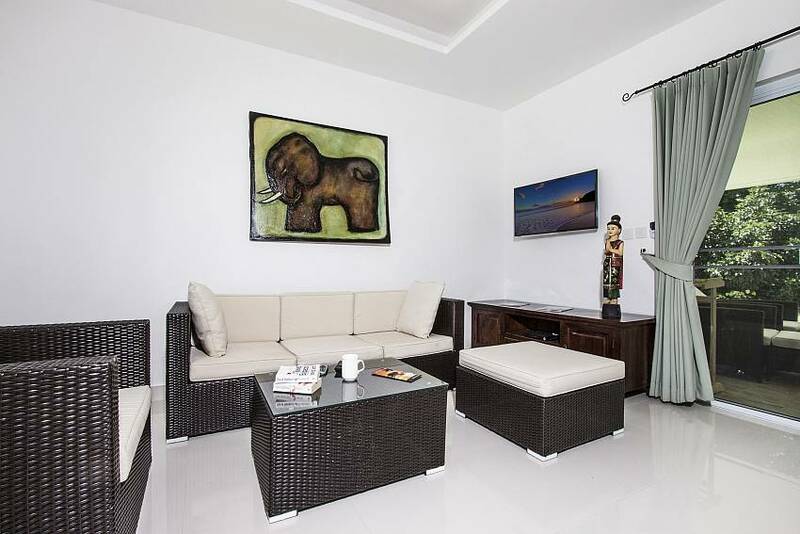 The cosy living room is nestled at the end of the property with calming views of the natural surroundings and pool. 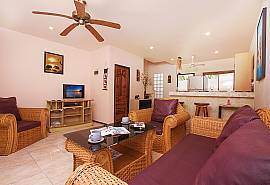 Guests can relax on the chairs and sofas as they become engrossed in a good holiday read or browse through the array of channels on the flat screen. 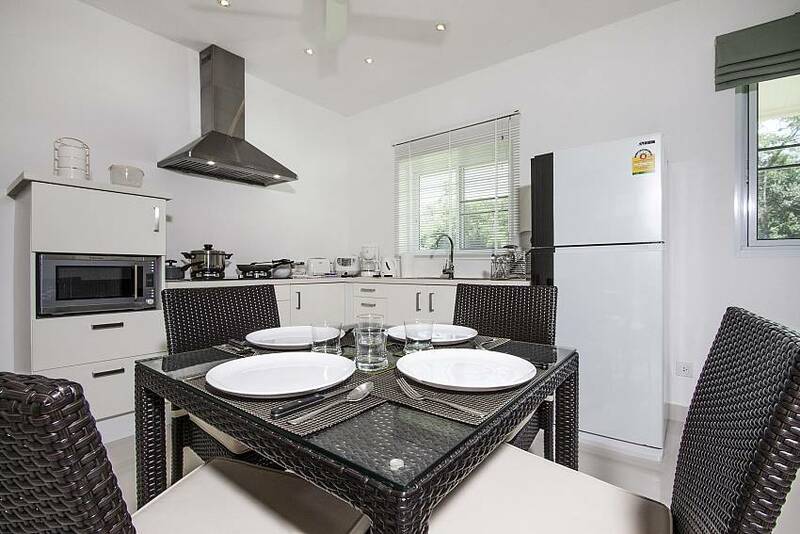 The dining area is placed between the kitchen and living room and accommodates up to 4 people over a polished glass table and stylishly matched chairs. 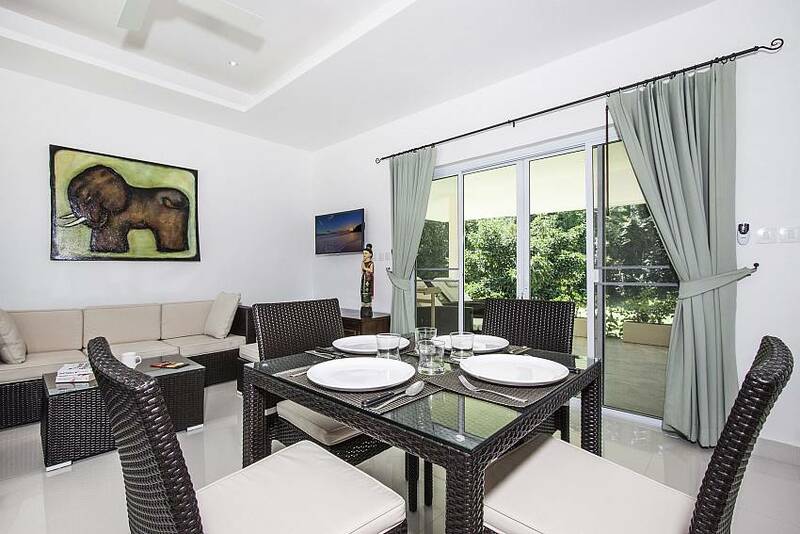 There is an additional table for 2 on the patio area should guests wish to take their dining outside.